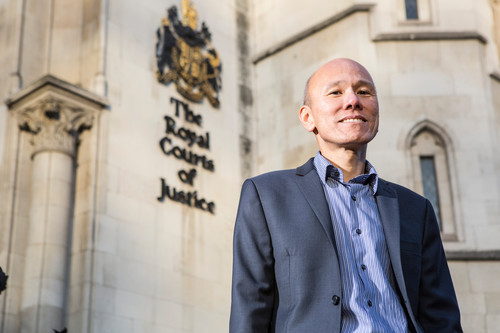 "Traditionally there were a set of stringent rules which determined what evidence can and cannot be submitted during criminal trials but over the last few years there has been a worldwide shift towards a less prescriptive format," says Andrew Choo, Professor of Law and Associate Dean at City University London who specialises in criminal evidence. "In the past, when judges applied these fixed rules there were some quite absurd outcomes or in other cases judges somehow 'dodged and weaved' the rules in order to reach the result they felt was justified, so negating the point of having fixed rules in the beginning," says Andrew. In Andrew's research he considers the decisions courts make and whether or not fixed rules are more preferable or if a more flexible model would be better. The second aspect of Andrew's research is the influence of the European Convention on Human Rights on principles of criminal evidence. He explains that since the Human Rights Act came into force in England and Wales in 2000, certain rights are now directly enforceable in domestic courts and some of these rights are relevant to the admissibility of evidence in criminal cases. "Article 6, The Right to a Fair Trial has changed the face of criminal evidence as a defendant can now argue that their right to a fair trial has been violated by the fact that certain evidence is being allowed to be presented in court," says Andrew. "So one of the themes I look at is what framework is best in this situation - more fixed rules for judges to follow or a more discretionary case by case approach," he adds. One of the debates Andrew is interested in concerns the use of hearsay evidence (second hand evidence) in criminal trials and the extent to which the Crown can introduce it. "It is a pretty complex argument as such evidence is often allowed to be used in cases. However the defendant can raise their right to a fair trial to try and exclude hearsay evidence, on the basis that anyone providing a statement that the prosecution uses at trial should be able to be cross examined and this is clearly not possible." Andrew explains that not everyone believes that hearsay evidence is an issue in fact some think it may not be any more unreliable than first hand evidence. The aim of Andrew's work is to stand back, analyse and make sense of the law of criminal evidence. He evaluates whether or not it is functioning well and whether anything can be learnt by looking comparatively at how other jurisdictions handle the same issues. The end point is to assess whether there is need for further reform. "I look in particular at the way that other major common law jurisdictions handle the criteria that govern whether evidence should be admitted and I identify interesting connections and convergences between the approaches that are sometimes ignored or overlooked," he says. Andrew became interested in evidence and procedure when he studied it as a compulsory subject as part of his law degree at the University of New South Wales, Sydney, Australia in the 1980s. "What I like about evidence is that you can look at it very technically and also very broadly. The actual content of the law can be very complex, so I find it intellectually challenging," he explains. Andrew went on to qualify as a solicitor of the Supreme Court of New South Wales in 1986. Andrew moved to the UK for postgraduate study at the University of Oxford but returned to Australia a few years later to work at the University of South Wales before settling in the UK in the early 1990's to work at University of Leicester, Brunel University and the University of Warwick. Although Andrew went straight into being an academic lawyer after the completion of his doctorate at Oxford, 10 years ago he decided he wanted to see how criminal evidence worked in practice. To do this he took a fast-track route to the Bar Council of England and Wales, available to teachers of the law of experience and distinction. He was then able to practice as a part time barrister and member of Matrix Chambers in Grays Inn. "Although today I rarely practice being a member of Matrix I have an association with the practitioners that I find illuminating as it informs both my teaching and research - knowing first-hand what actually might happen in practice is so important and also makes me a bit more credible with the students!" he says. Andrew started at City in November 2012 and became Associate Dean in September 2013. Having finalised the School's REF submissions he is now concentrating on new ideas to further improve research quality at the University "and provide support and encouragement to staff, making sure they have sufficient time and mental space to work," he adds. "I really liked the fact that City had so much ambition and there are many excellent lawyers educating students at the University who have a lot of knowledge about criminal evidence. In due course I hope there will be scope for collaboration," he says.